My PLN has been a source of support, learning, and encouragement, and along the way, I’ve met many wonderful new people, made new friends, and discovered some invaluable online professional learning resources. Today, I’m taking the opportunity to nominate a few of my favourite sites, blogs, and resources for the Edublogs Awards 2011. Stephanie (@traintheteacher) found me on Twitter some months ago, and I soon discovered her insightful blog (established Jan 2011) where she has shared her experiences, reflections, and learning as a student-come-beginning teacher. We need more student and beginning teacher bloggers like Stephanie; as by sharing our stories, frustrations, learning, and achievements, we can build informed community understanding of new teacher experiences, and better aid their entry into the teaching profession. With out a doubt, the Teacher Challenge blog is one of the BEST online professional development resources for teachers on the internet today. Written by teachers, for teachers, this is relevant, informed PD at it’s best. 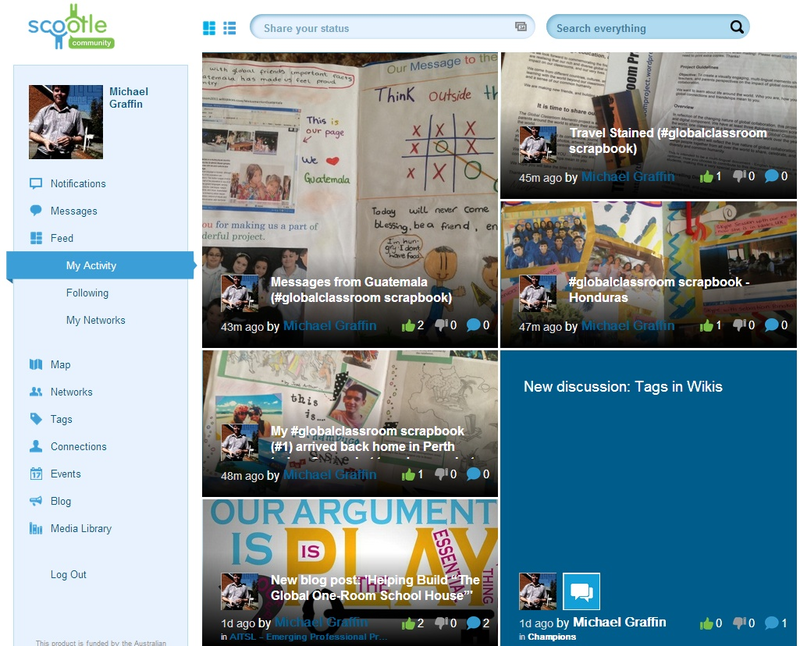 It has helped me improve my blogging skills, and build my PLN. There’s always something interesting in Med’s blog feed, and I’ve always appreciated the incredible effort he puts into his visual explanations of the latest education technology tools and resources. Educational Technology and Mobile Learning remains one of my most frequently bookmarked blogs in my Diigo library. While I follow many amazing blogs, my stand-out teacher blog for 2011 just has to be Josh Stumpenhorst’s "Stump the Teacher” blog (). Josh’s blog has taught me a great deal about teaching, and about myself; and his work inspires and educates teachers around the world. Chris Betcher’s Virtual Staffroom podcast remains the ONLY educational podcast I remain subscribed to, as his inspirational interviews with leading educators enable teachers to share and learn from each-other – around the world. I have followed the Virtual Staffroom for nearly 4 years, and eagerly await each episode. Well, these are my nominations for the Edublogs Awards 2011. I hope they will help inspire and educate others, as they have done for me.